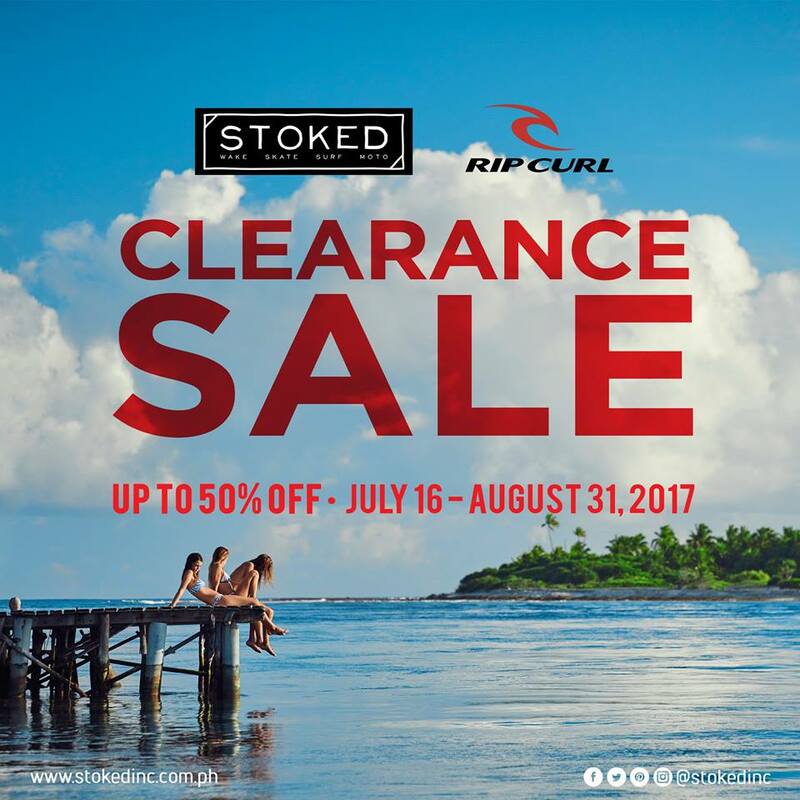 Home Promo EXTENDED Stoked Inc End of Summer Sale: Stoked, Rip Curl, and more! EXTENDED Stoked Inc End of Summer Sale: Stoked, Rip Curl, and more! EXTENDED UNTIL AUGUST 31, 2017!!! End the Summer with Stoked Inc’s exclusive deals! Available until July 16, 2017 so hurry! Stoked and Ripcurl shops are located at: Rockwell, Bonifacio High Street, Trinoma, Glorietta 4, Nuvali Solenad, ATC, Ayala Center Cebu, Estancia, SM Aura and SM Megamall. Previous articleCredit Cards and Benefits: Tips, Tricks, Tools! Next articleNike Park Sale: Up to 40% Off!! !